Bullcarr Mires01924 860280work Country ParkBring your bino’s for to spot some of the fantastic wildlife that calls Bullcarr Mires their home. 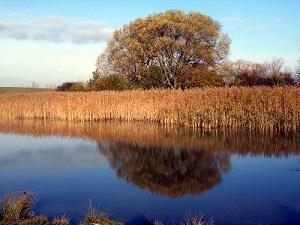 Bullcarr Mires, also known as Pot Hills Marsh, is mainly wetland surrounded by grassland. Look out for a number of wetland species including Kingfisher and Heron. All five British species of owls (Long Eared, Short Eared, Barn, Tawny and Little) have been spotted in the area. Enjoy a walk around the boundary of the site, cutting through the middle on either side of the pond. Stretches of boardwalk allow easy access over the wetter areas. Bring your bino’s for to spot some of the fantastic wildlife that calls Bullcarr Mires their home. Bullcarr Mires can only be reached by foot and is accessed via Green Lane next to the Co-Operative store on Waggon Lane in Upton and via a footpath from nearby Thorpe Audlin. The site is reached on foot via Green Lane which is next to the Co-operative store on Waggon Lane, Upton. Parking is located at the side of the Library and Visitor Centre.